Pictured: 33 percent of the game’s fighters. 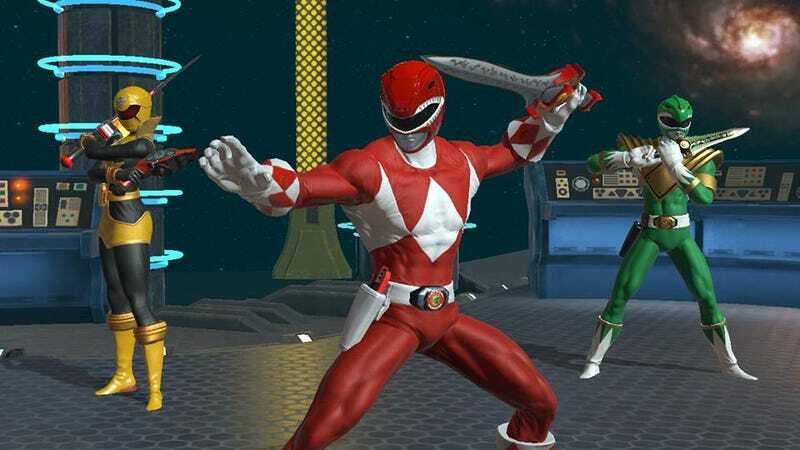 I was super excited when Power Rangers: Battle for the Grid was announced for the PlayStation 4, Xbox One, Switch, and (eventually) PC, imagining a game overflowing with Super Sentai characters from throughout the show’s 25-year history. It’s developed by nWay, the studio that made mobile brawler Power Rangers: Legacy Wars, and that game’s got dozens of rangers in it. Surely, I thought, Battle for the Grid would follow suit. Nope. We’ve got nine fighters. There’s rangers Green and Red from the original series and Yellow from Super Mega Force. Magna Defender drops in from Lost Galaxy. Also from the original series are Kimberly as the Ranger Slayer, the evil Goldar, Lord Drakkon, and his Mastodon Sentry henchman. Since Lord Drakkon is an alternate reality version of the Green Ranger, that means 22 percent of the starting roster is Tommy Oliver. It’s a nice little group of characters, but still a little group. Were this a one-on-one fighter, nine characters wouldn’t be so bad. Street Fighter II launched with only eight, and that was fine. But each round in Battle for the Grid features two teams of three characters each tagging in and out of battle. Seeing the same facemasks over and over again gets old quick. 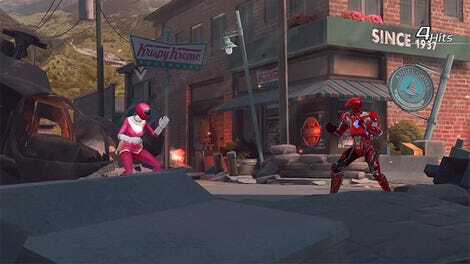 Roster aside, Power Rangers: Battle for the Grid isn’t a bad fighting game. nWay built it to be accessible for players of all ages and skill levels, so it’s relatively basic. There are normal attacks of three strengths, throws, and special moves. Each character has an appropriate super attack that can be activated when the super meter is full. It’s a three-on-three affair, so characters are constantly jumping in for assists or swapping out. Each team also gets to select a giant monster or mech (a Zord, that is) they can call in when things look dire, to help even the odds. Yellow cannot handle the Dragonzord’s tail. The stages aren’t great, with bland flat textures in the backgrounds. The face of Zordon is especially lifeless in the Ranger base level. One would think he’d react to the battle at hand, but he just hangs there like a wall sconce. These are little annoyances that would be much easier to overlook if the game’s roster were packed with many more color-coded upholders of all that is good and teenagery in the universe. Instead, it feels empty. It’s not just the lack of characters, either. In an interview with the PlayStation Blog in January, nWay’s Chris Peralta said the game would launch with a story mode. It did not. There’s an arcade mode, which is a series of seven battles, but that quickly runs into the “too few characters” issue as well. Hopefully, once nWay irons out some of the online play bugs and makes sure everyone’s codes for the game work, the studio can start building Power Rangers: Battle for the Grid into the ranger-packed celebration of colorful costumed fighting it has the potential to be.